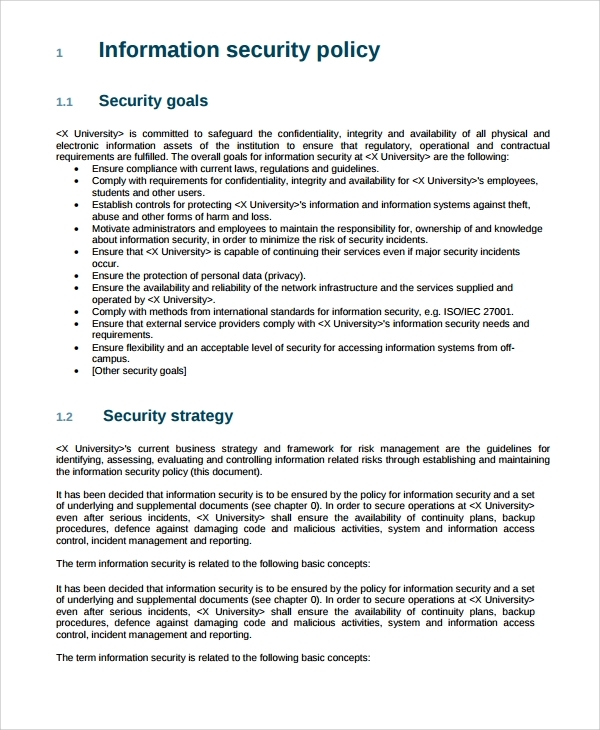 This is a PDF template that comes with a table of contents, insightful security policy write-up divided into various sections and lucid content. 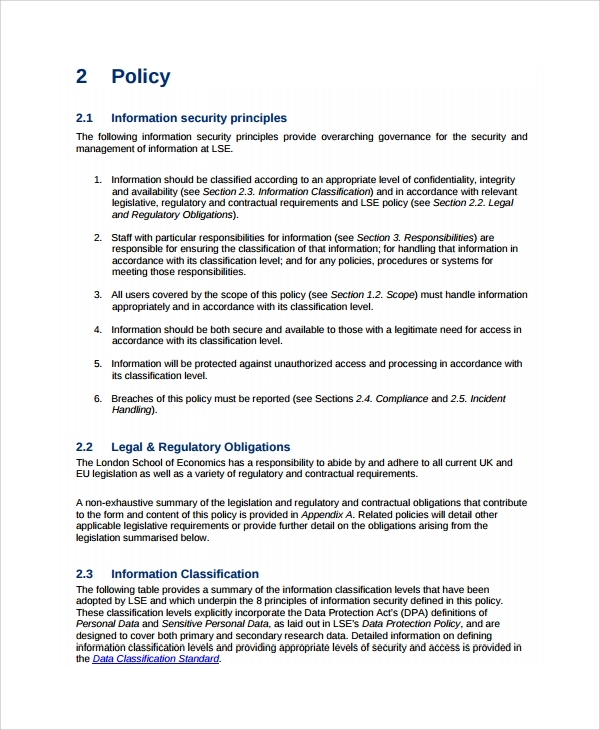 You can simply use this template as your company’s IT security policy statement. Being supplied in PDF format, the document is printable. The policy statement can suit any small or medium IT business with precision. 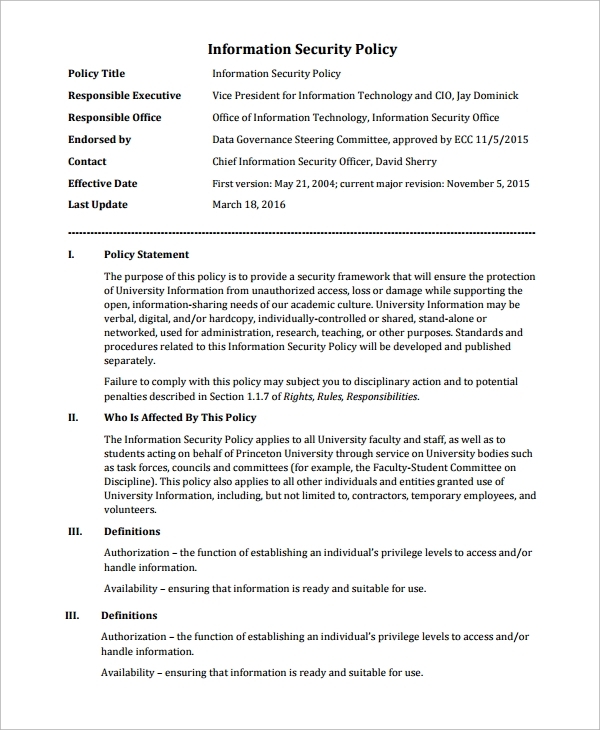 As the name suggests, this is a basic IT security policy statement template that comes within printable PDF format. Small business owners can save their time by not opting for writing security statement, and choose to download this template instead. The write up is basic and suitable for any small IT business. 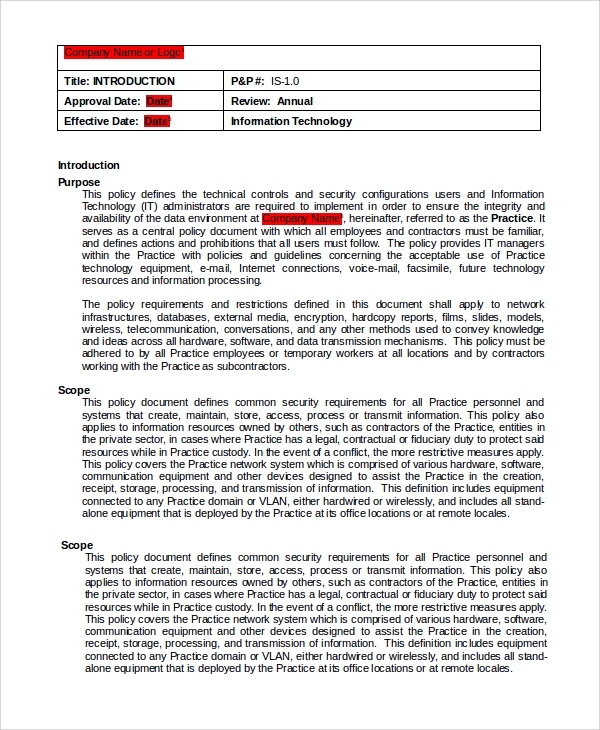 For a general IT security policy statement, you can choose this template instead of writing policy statement by your own. Using template saves time and on top of that, the template is written with precision. It is structured properly and written in lucid as well as professional tone. Simply download it to use it. 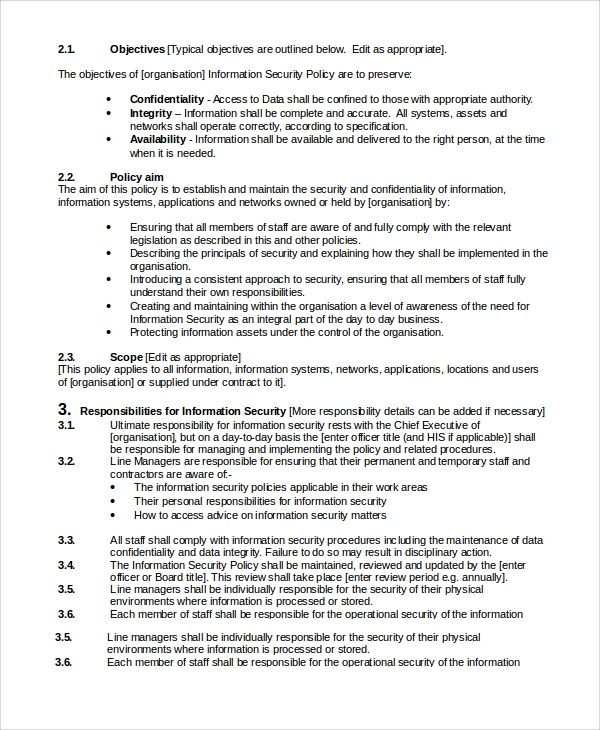 Security policy statement of an IT company should be written with precision, following the proper writing guidelines. Typically, IT security policy should include a few major things, like present security infrastructure of the company, future planning, security risk assessment, possible threats and much more. 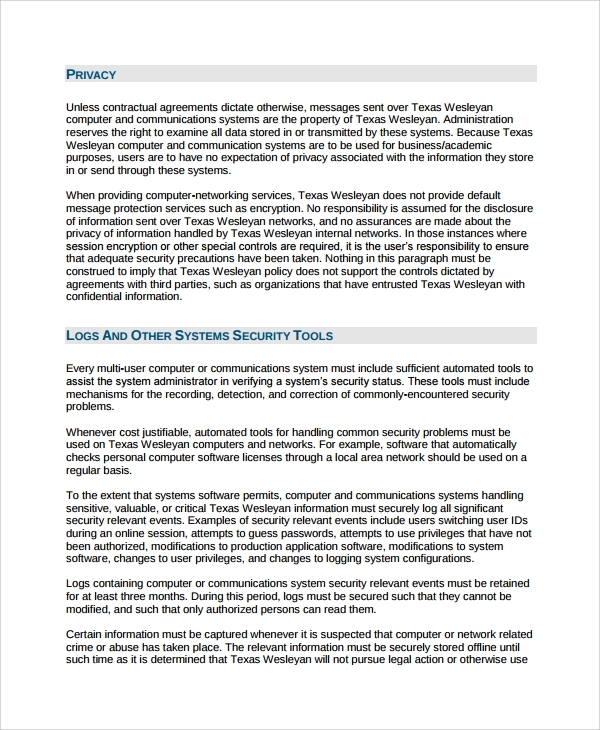 In spite of wasting time in writing, you can just download and print to use this IT security template. 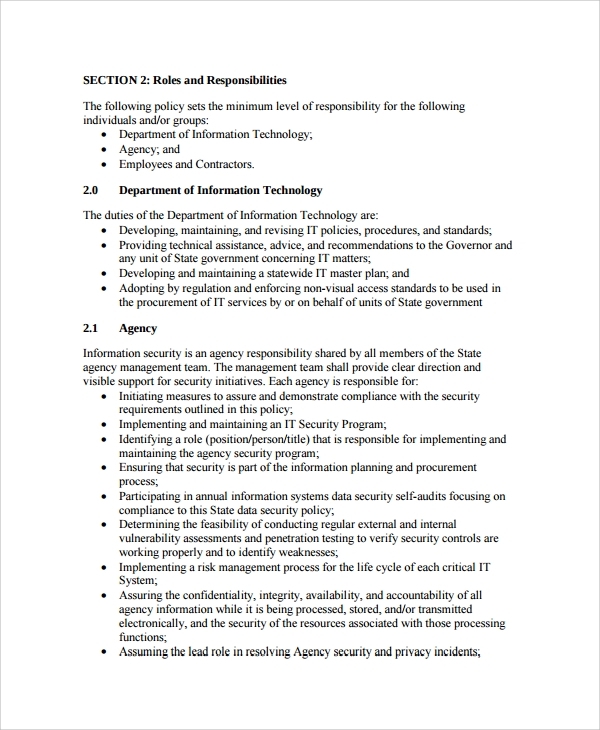 Security policy statement should be written in a step by step manner, and the whole write-up should be lucid as well as flawless to understand for the IT personnel. The write-up could be extensive, as it includes sections, like security threats for modern IT businesses, technological alignment to deal with the threats, importance of knowing the threats, and much more. Since the write-up could be vast, it is always better to use a template to save time. 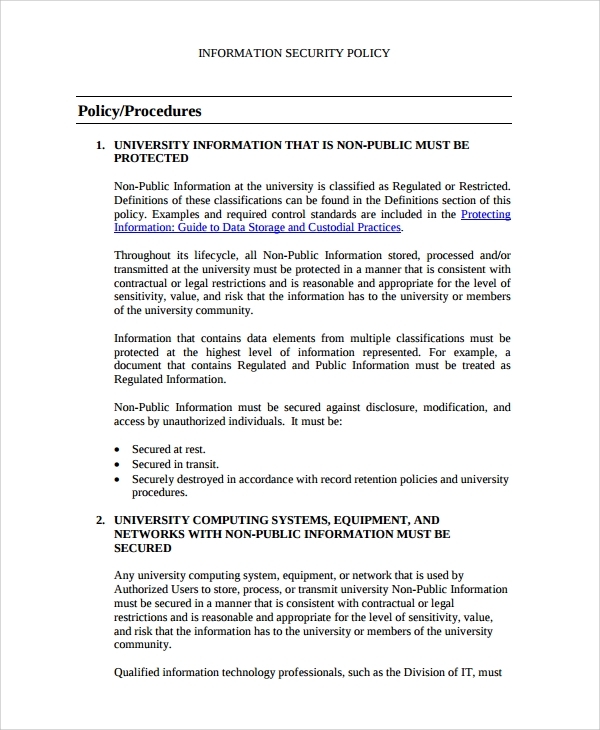 Moreover, Data Protection Policy Template or IT security template is written in a professional tone, covering the modern security aspects carefully. Thus, you shall get a seamless write-up for your use. 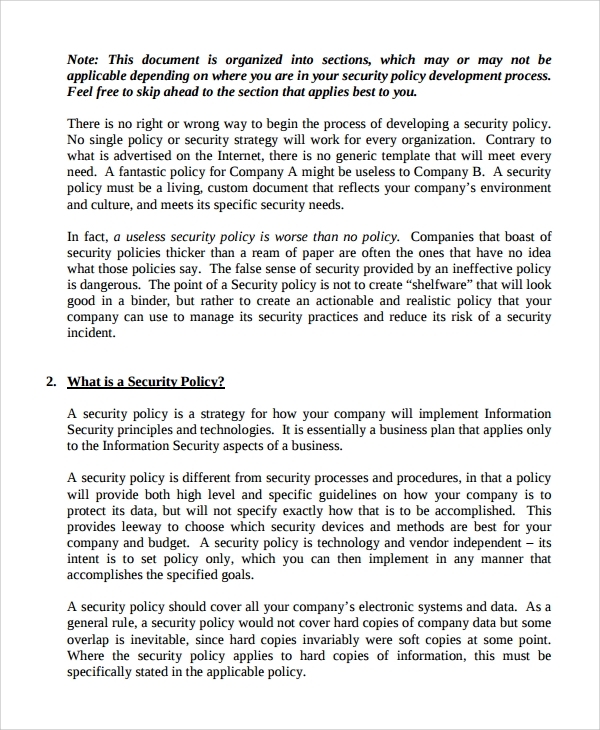 Using IT security policy statement template is the best way of obtaining effectual security statement for an organization. These templates come in PDF format, and they are printable. Just download them and make customization, if required. 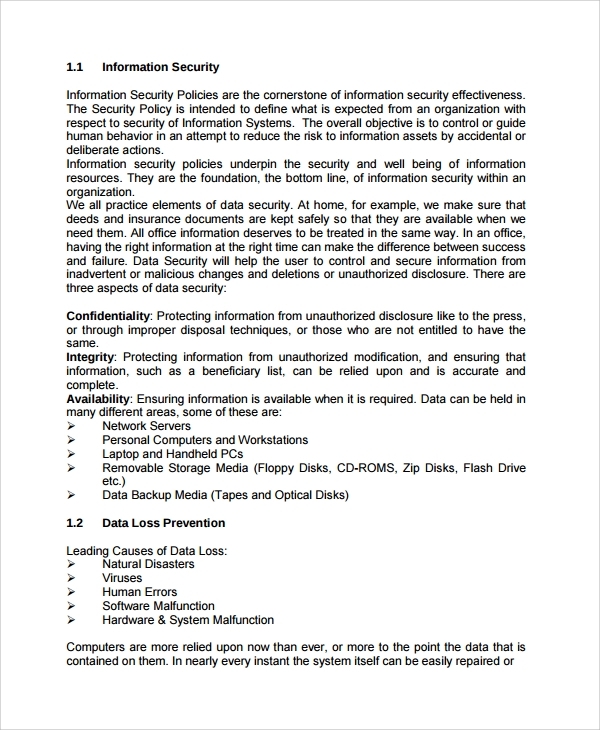 Then, print the statement to adopt professional security statement for your company.